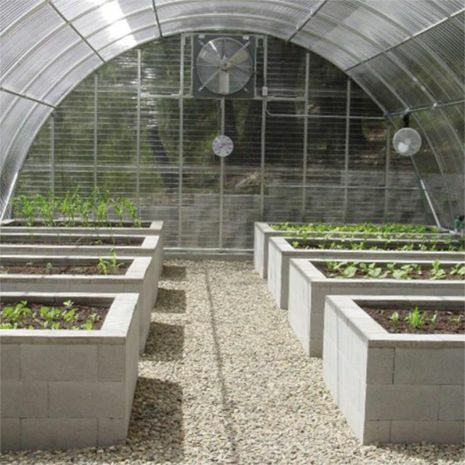 Save hundreds of dollars on equipment and accessories when you purchase the greenhouse systems. We' ve done all the calculations for you. 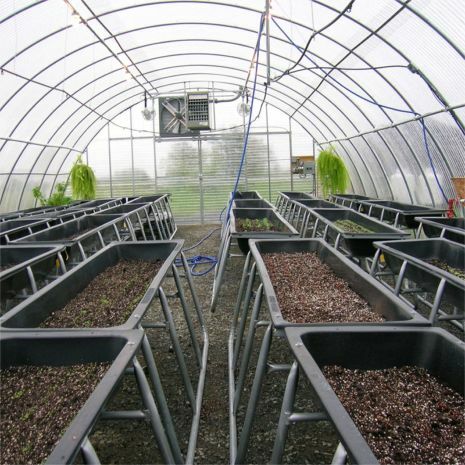 The size and quantity of equipment items are determined by the greenhouse size and shipped directly to your door. 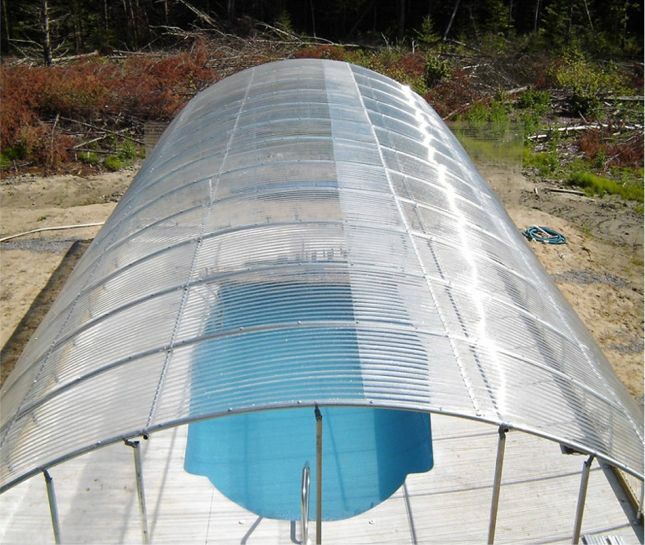 Our round style corrugated polycarbonate covering are designed to be used in warm type of climate or cultivation. Greenhouse Covering: The corrugated polycarbonate sheets are light in weight, virtually unbreakable and come with a 10 year warranty, and Panels contain UV inhibitors which prevent degradation. Clear sheets have up to 88% light transmission. Built-in condensate control eliminates water droplet formation for a healthier plant environment. 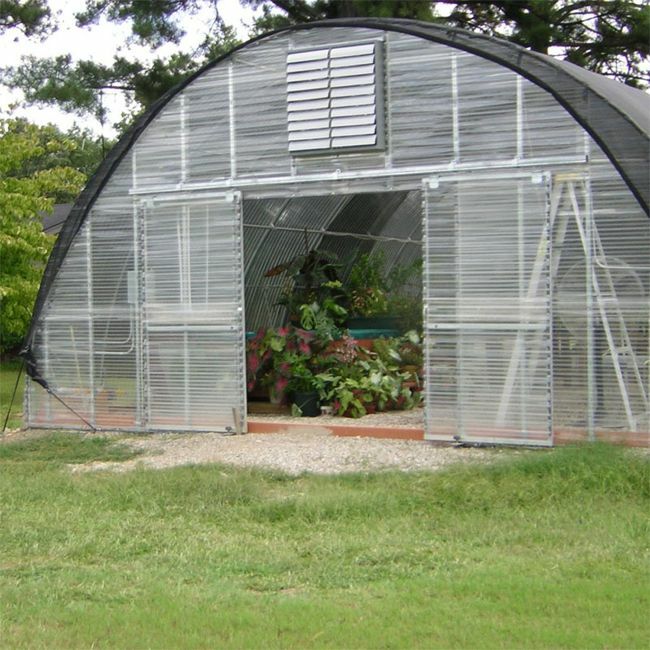 Greenhouse Frame: Frame: 14 gauge, USA-made, triple-galvanized structural steel tubing with 4' rafter spacing. End framing: 16 gauge, 1.5" sq. steel tubing. Greenhouse Door: Heavy-duty, sliding double doors are 48"W x 92"H each and come complete with all necessary hardware for installation.